In a letter to Chief Justice of India, R.M. 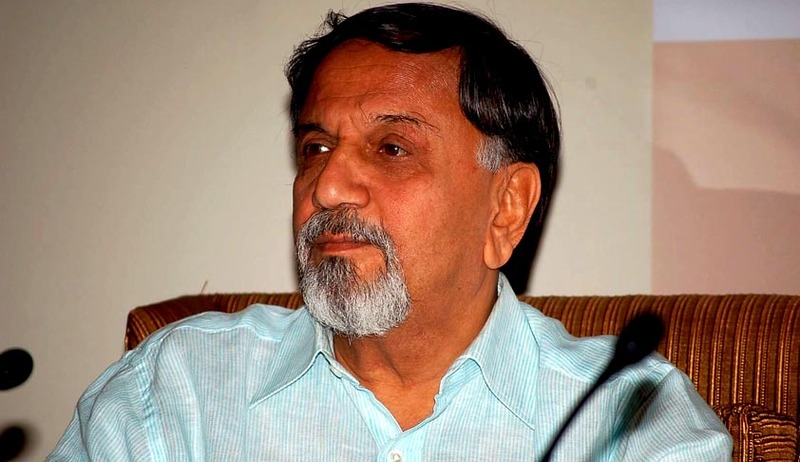 Lodha, former Central Information Commissioner, Mr. Shailesh Gandhi has revealed his deep concern for the huge pendency of cases in Courts throughout the country and also suggested measures which might be useful in formulating an amiable solution to the problem. His letter terms this delay as collapsing of the entire machinery of rule of law. Mr. Gandhi used the data available in the quarterly ‘Courtnews’ column from the Supreme Court website, from July 2009 to June 2012, to calculate the average pendency for Supreme Court, High Court and the District and Subordinate Courts. This figure came out to be 9 months for the Supreme Court, 30 months for the High Courts and 19 months for the lower Courts. These figures showed some consistency and were compared through graphs which were attached with the letter. He then arrived at a simple yet genius solution to set a time limit for courts for disposal of cases. He writes that if the principle of ‘First In First Out’ (FIFO) could be strictly followed, this may be the time for a case to go through the Courts. I agree that this would not be feasible completely, but there can be no justification for many cases taking more than double the average time in the Courts….If this was done, the maximum time at the three Courts would be 20 months, 58 months and 36 months. In order to eliminate discrepancies in the listing of cases, occurring due to the massive mass of data, computerization of the entire process is suggested. He then focuses on the vacancies at the three levels which come down to 15% for the Supreme Court, 30% for the High Courts and over 20% for the lower courts. In 2013, Law and Justice Minister, Kapil Sibal, was quoted as saying that the "fast track courts, which are meant to expeditiously clear the colossal scale of pendency in the district and subordinate courts in a time-bound manner, are suffering due to staff crunch". Hence, this is a very important attribute if speedy disposal of cases is desired. These vacancies were attributed to negligence in appointment process. Mr. Gandhi writes that, after filling the vacancies, if the Courts stick to their avowed judgements to allow adjournments rarely, it should certainly be possible to increase the disposals by atleast 20%. According to him, the concept of First in queue is violated in our system, partly because of the influence certain lawyers are able to wield and partly because of the numerous adjournments and the judges giving dates based on their ‘judgement’. Further he suggested that the disposal per judge and Court along with data of pending cases giving details of the periods since Institution should be displayed by the Courts on their websites. Pendency of cases has been a concern of several debates in the country, however, no amiable solution has been implemented yet. In April this year, a two Judge Bench comprising of Justice K.S. Radhakrishnan and Justice Vikramajit Sen laid down guidelines for speedy and expeditious trial of cheque bouncing cases, suggesting the issuing of summons through e-mail. Chief Justice of India, R.M. Lodha himself laid down a five point agenda to tackle problems facing the judiciary, soon after he assumed office. Recently an advocate in person filed a Writ Petition (Civil No.773/2013) before the Supreme Court of India which was filed to enhance the retirement age of Judges of the Constitutional Courts and Trial Courts. This was however turned down by the Supreme Court. The grounds taken by the petitioner include the huge pendency of cases as well as the increase in the health index and life span of the people. Read if this could serve as a panacea for pendency issues in India, here. The Law Commission of India has also made various recommendations in this respect. 58th Law Commission Report took note of crucial need to reduce the pendency of case in the higher courts. Similarly in 79th report, the Commission concluded that search for solution is to be regarded as quest and periodical redefinition of techniques is necessary. It further emphasized the need for speedy implementation of many reports dealing with the crisis of delay and profound backlog of cases. The theoretical principle of right to speedy trial can even be found in Magna Carta which provides that justice or right will neither be sold nor denied or deferred to any man. The Virginia Declaration of Right incorporated the concept of speedy trial for the first time. Art. 14 of the International Covenant on Civil & Political Rights, 1966 also provides for the right to speedy trial. Art. 14 (3) says that every one shall be entitled 'to be tried without undue delay. Similarly Art. 3 of the European Convention of Human Right and VI Amendment to the U.S. Constitution regard it as a basic right. The VI amendment of the U.S. Constitution says that in all criminal prosecutions, the accused shall enjoy the right to speedy and public trial. Mr. Gandhi rightly said that Indian judicial system has become irrelevant for the common citizens, and this is responsible for many ills plaguing our Nation, like disrespect for laws and corruption. After signing the letter, Mr. Gandhi writes that Mera Bharat Mahaan… Nahi Hai, Per Yeh Dosh Mera Hai. The dual role that law plays in the society, one as a tool of social change and the other as an instrument of social control, makes it imperative to implement measures for speedy justice and restore the faith of a common man in the entire machinery.